Music is an important part of Watauga Avenue Presbyterian Church. 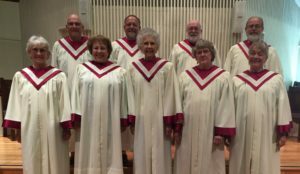 The Chancel Choir, under the direction of Stephen Shanks, sings a variety of anthems in many different musical styles, from traditional choral settings to the music of other cultures. Choir rehearsal is Wednesday evening beginning at 7:00 PM. All are welcome to join!